Radishes and butter. One of the most exquisitely simple combinations, made better by a pinch of salt (and served on a crusty baguette). 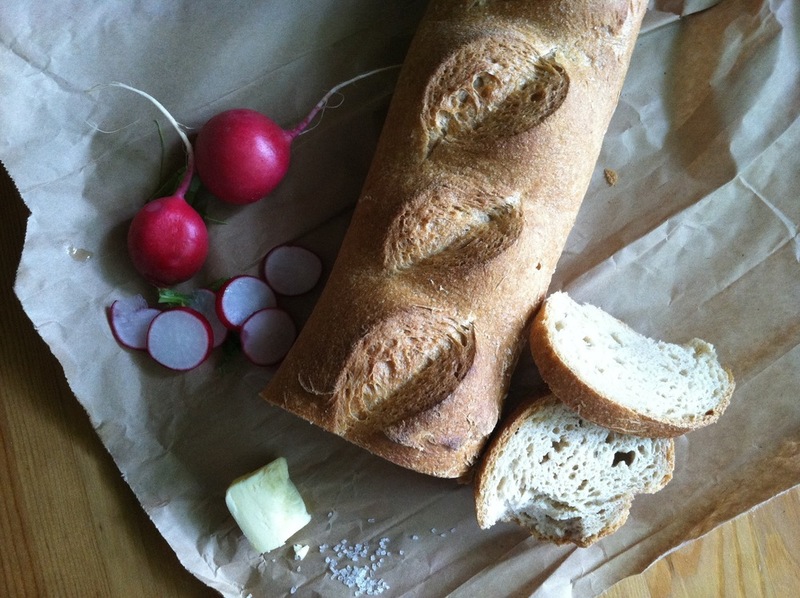 On my weekly trip to the farmers market yesterday, I picked up a baguette from New Cascadia and some radishes. The butter and salt were waiting for me at home, where I assembled it all together for lunch. If you haven't tried this yet, I urge you to do so. Preferably with a cold glass of rosé!